Writer/producer/director Bruce David Klein founded Atlas Media Corp. in 1989. Its mission? To create, produce and distribute innovative television programming. Since then, Atlas has grown into one of the world’s leading independent multi-platform producers of non-fiction television series, specials, theatrical documentaries and digital entertainment. Atlas combines the substantial resources of a mini-studio with the personal, passionate vision of a filmmaker. 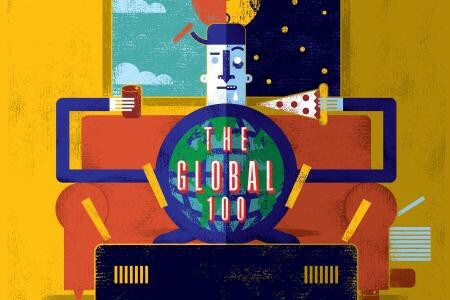 For TWELVE years in a row (2006 – 2017), RealScreen magazine has named Atlas to its prestigious annual Global 100 list of the most influential producers of non-fiction entertainment in the world. Atlas’ ratings-grabbing, award-winning productions have become staple programming for U.S. networks such as MTV, H2, TLC, Discovery Channel, E! Entertainment, Travel Channel, A&E, National Geographic Channel, History Channel, Discovery Fit & Health, Food Network, GSN, WE: Women’s Entertainment, ID-Investigation Discovery, The Disney Channel, and USA Network, as well as national syndication, DVD/home entertainment, web channels, and distribution in 100+ markets worldwide. Atlas programming has earned a range of awards, including multiple Cine Gold Eagles, an EMMY nomination, New York Festivals Gold Medals, and countless specialty awards, such as the Genesis Award for Best TV Kids Program and the prestigious James Beard Foundation Award for Best TV Food Journalism. Atlas’ Theatrical Documentary division successfully releases films, which play in film festivals and in theaters across the country, before moving onto television, DVD, and digital distribution through Netflix, etc. The Digital & Emerging Media division has generated a substantial amount of content across multiple web-based and digital platforms. Recent clients have included History.com, Discovery.com, FEARnet, myLifetime.com, Westin Hotels, and content partnerships with YouTube.